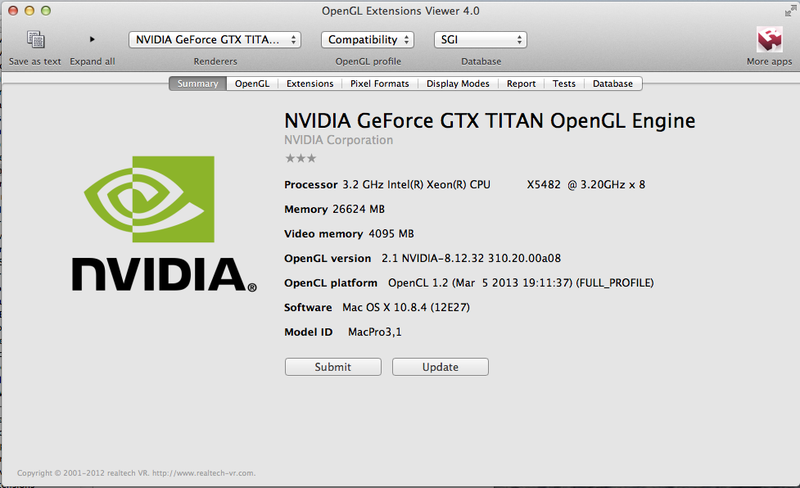 With updated nvidia drivers from 10.8.4 beta Geforce GTX TITAN works. Now for real. I will wait for the hackintosh support !! Вау… А сколько этот монстр ест энергии?? Its interesting for me is Quadro K2000M supported with this beta? It’s a high chance that all Keplers are supported, maybe only correct PCI ID must be added to the kext. А почему в сис профайле 6 гигов видео памяти, а в opengl extensions viewer всего 4???? I can also confirm that it works with my Titan equipped system. I used the 12E33a 10.8.4 build. Apple recently released a new beta of 10.8.4 (12E36). Anyone tried it? 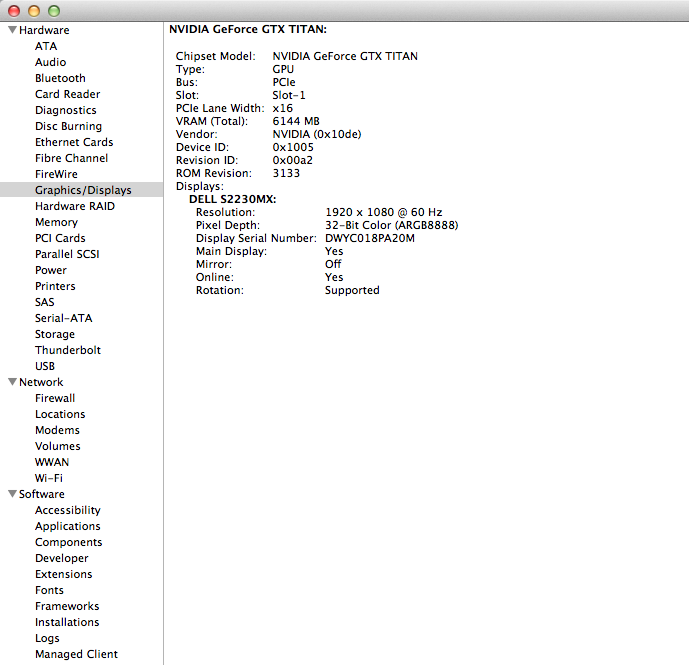 Anyone done any performance tests for its CUDA performance? Compared to a GTX 690?